JANUARY SPECIAL OFFER!! 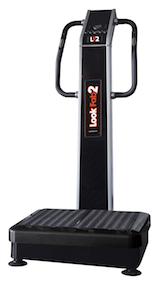 Rent a LookFab2 Vibration Plate at home for only £99*!! Rent a LookFab2 vibration plate at Home for 12 weeks for just £99*, saving a massive £48 on the normal price of £147. You can lose a dress size in 3 weeks for a little over £1 per day. To arrange FREE delivery, installation and training please call us on 01613440726 or visit http://www.lf2.co.uk. *NB Greater Manchester Area Only.